Have you ever gone shopping knowing in mind what you want, but can never find exactly what you're looking for? Or when you do find it and then realize there's just something missing? I run into this problem ALL the time and find myself with two possible solutions : Buy and tweak or make my own. - A bouquet of baby's breath. 1. 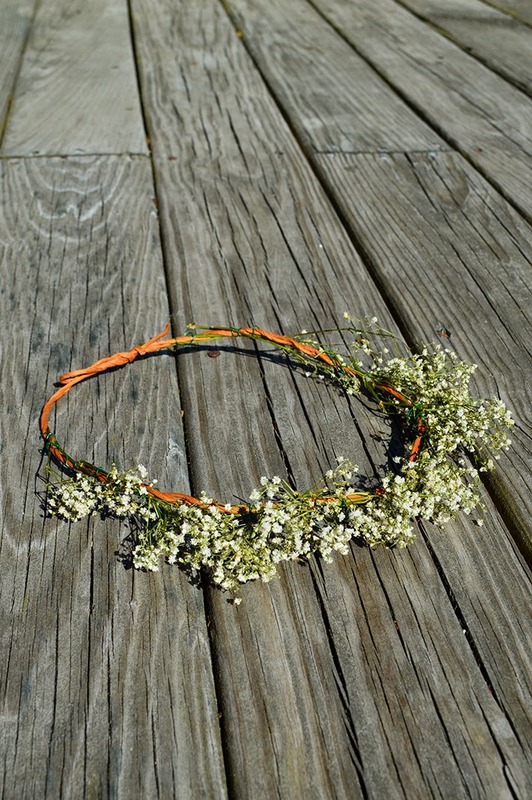 Start off by wrapping your head with the brown floral wire to figure out the size of your crown. I prefer it sturdy so I double the length before cutting it. 2. Fold the wire in half and twist so the folded end turns into a loop. Keep twisting until you reach the other end. 3. 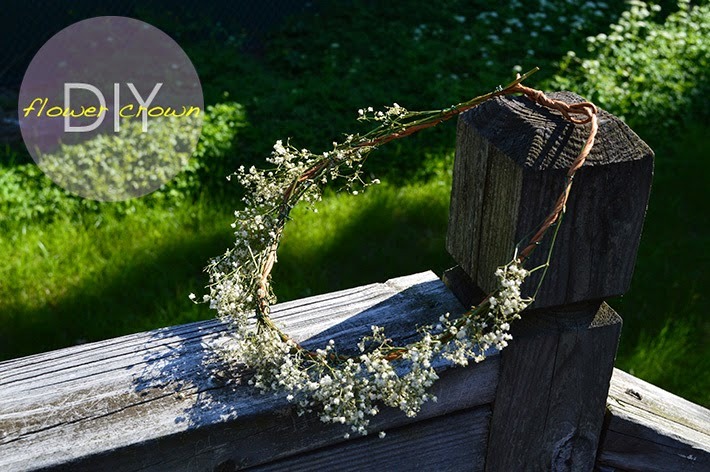 Take smaller flower stems and place them on the crown using green floral wire. Don't worry about the green wire showing. Everything blends together pretty well and gives it a rustic feel. 4. Place as many or as little flowers as you want. I overlapped and even placed stems in all different directions to get a fuller look. There is no right or wrong way to do this. Go with how you feel! 5. It should eventually look similar to this. Take a step back and see if any gaps need to be filled in. 6. When you're 100% happy with how your crown looks, take both ends, loop them together and twist until secured. And there you have it! 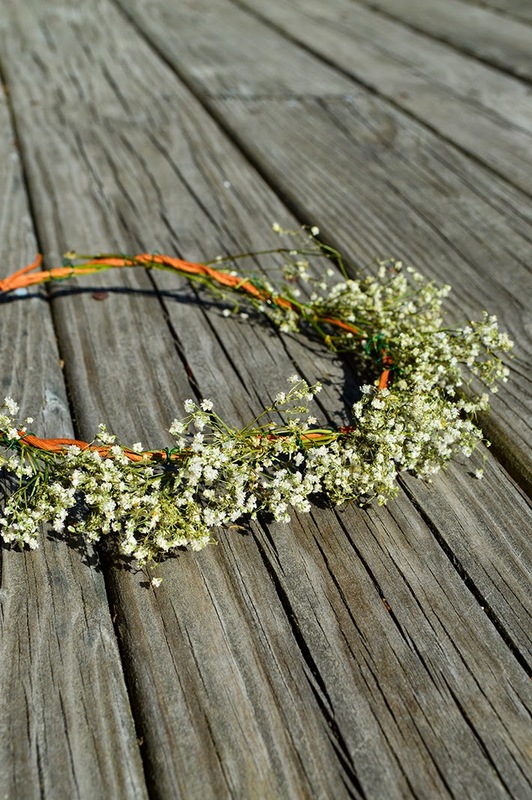 A simple and fresh flower crown ready to wear - no glue required :) I'm so looking forward to wearing this with skirts and dresses. Not sure how long the flowers will last, but I plan to make full use of it! Hope you love your crown as much as I love mine. This was my first DIY tutorial EVER and I'm so happy I got to share this with you guys. Let me know what you think and if you want to see more of these in the future!